The normal package is wooden box(Size: L*W*H). If export to European countries,the wooden box will be fumigated.If container is too tighter,we will use pet film for packing or pack it according to customers special request. 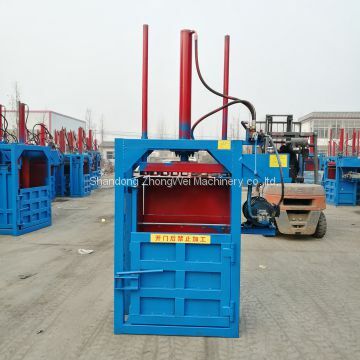 This hydraulic baler machine mainly is used for baling cartons, cotton yarn, plastic, wood, etc. 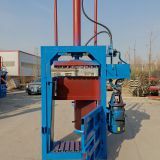 It is designed as vertical structure, hydraulic transmission, electrical control and manual binding.Usually the pressureforce of this series is from 10 ton KN to 60 ton KN, the efficiency is 4 ~ 6 pieces per hour. 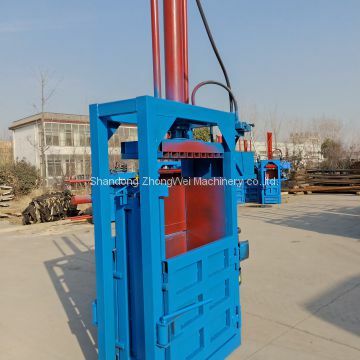 The weight of each piece is from 30 Kg to 300 Kg according to the material.Also, we can produce the machine according to the requirement from customer. 3. Independent feeding opening with automatic pulling out installation, to reduce labor force. 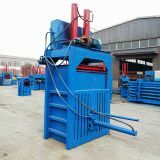 4.It can be made according to the demands of customers, and the bale can be binded into “---” and”#” shape. There need add hydraulic oil before you use this hydraulic baler.We recommend 46# hydraulic oil for use.The hydraulic oil only acts as a conductor and does not consume. The fuel tank is about 50-60L, and it will be used once every six months. 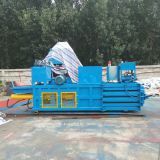 Our hydraulic baler can bale many kinds of materials.Like Tyre,Waste carton,Waste paper,Waste clothes,Plastic bottles,Fiber,Sponge,Tin cans,Scrap metal,ect.Detail information,please contact me. Q:What can this baler machine pack? A:Straw, waste clothes, sponges, hemp fiber, plastic bottles, cotton, tires, etc. 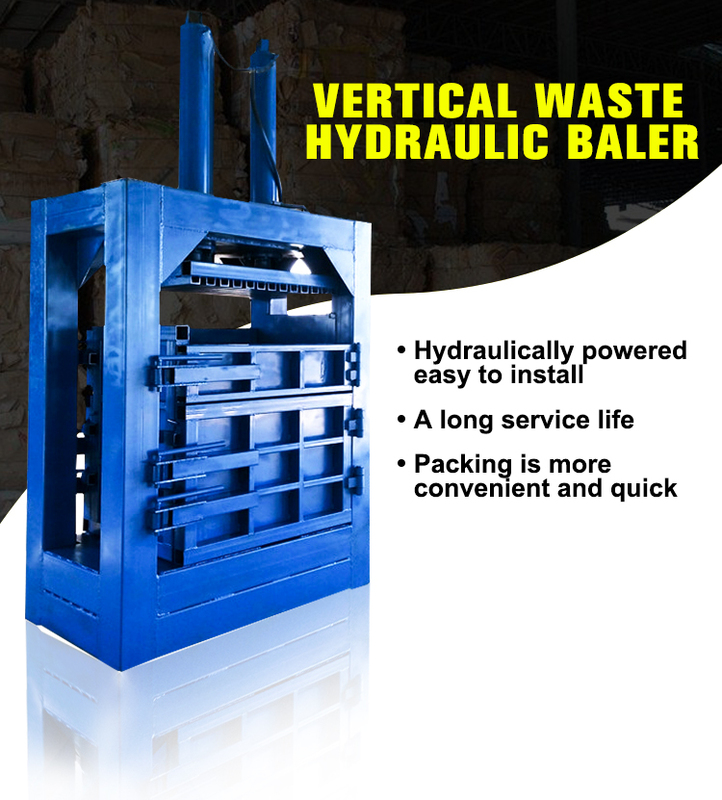 Q:Can the size of this baler machine package be adjusted? A:The size of the package can be adjusted according to the filling of different materials. 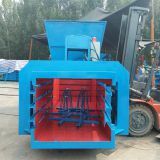 Q:What is the driving force of this baler machine? A:The machine is hydraulically driven. Q:What is the packaged weight? A:Depending on the weight of the material, usually between 30-300 kg per pack. 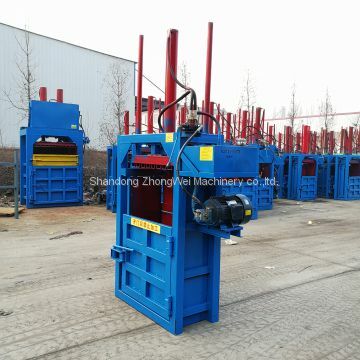 Q:Can we customize the hydraulic baler machine? A:Yes, our engineers will make a reasonable production plan according to your needs. 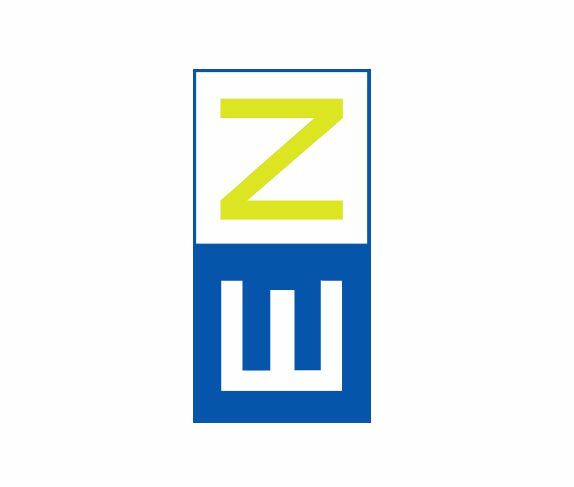 To Shandong ZhongWei Machinery co.,ltd. 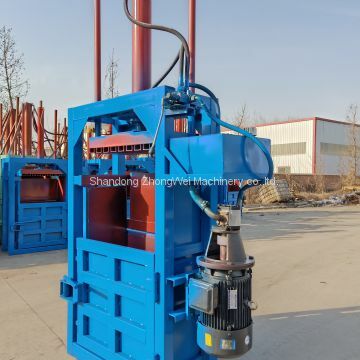 INQUIRY ABOUT Vertical hydraulic cardboard baler for sale PLC control full automatic hydraulic waste paper carton balerShandong ZhongWei Machinery co.,ltd.